Instead of replacing expensive fixtures and surfaces, resurface them in decorative metal, sophisticated stone or luxurious wood designs at a fraction of the cost. 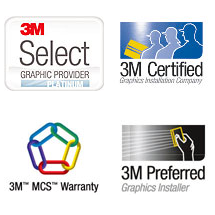 3M™ DI-NOC™ Architectural Finishes let you transform your space with less downtime and less labour. These durable, dynamic films are easy to install and conform to a variety of flat or curved surfaces including walls, panels and ceilings. With more than 900 patterns to choose from, it’s not a question of how you can revitalize your image, but when.